Errr… yes… we have spotted the irony of an email about NOT emailing (unless you are reading our blog version! )… but much as we’d love to phone you all and chat about this stuff, this is an instance where email (or a blog) is the right platform. It’s not always that way. More than once this week we’ve got half way through an email… ditched it… picked up the phone… and got further in one call than we would have done in an inbox full of emails. 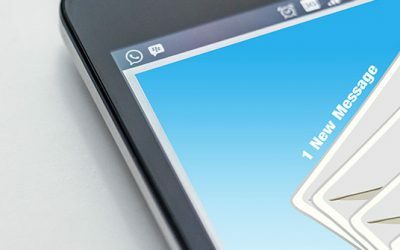 Emails can be overlooked; they can be deleted; they may never even get delivered… and even when they are opened and read, they’re notoriously easy to misinterpret. So why not try these alternatives for your everyday communications and your marketing campaigns too? The ‘phone… makes it properly personal… with all the subtleties, digressions and incidental details which can lead to unexpected opportunities and profitable client relationships. ‘Conference’ comms… puts faces to the names. Skype, conference calls, video chat, face-time: there’s loads to choose from, many of them free to use. So why not suggest a digital ‘get together’ next time you need to check something out? Direct marketing… hits their desk, puts you right in their hand (which can be pretty empty of other DM these days) and gives you something tangible to start a conversation with. A good ‘old-fashioned’ meeting… helps you see eye-to-eye… and not just literally. You can develop ideas, draw diagrams, scribble project outlines; it all helps develop a rapport. Be energetic and enthusiastic; remember your body language, and to check-out theirs too! Of course we email, but it’s just part of our mix… the key is to use the right techniques at the right time to build and maintain great customer relationships… because people STILL buy from people. Fancy shaking up your marketing mix? Not sure how to implement an integrated comms approach? Simply pick up the phone (or jump on video) and let’s chat about it!